Lake Wolsey and Lake Panache in Greater Sudbury have tested positive for blue-green algae. 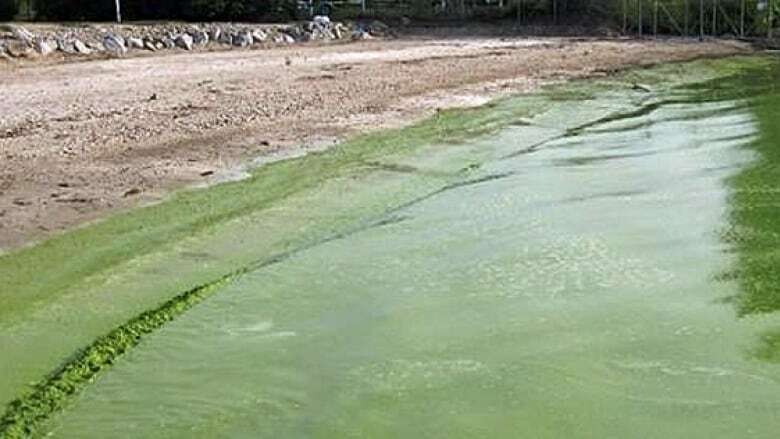 The Ministry of the Environment says water samples recently taken from the lakes contain a species of cyanobacteria that can produce toxins. Now that the blue-green algal blooms have been confirmed, the Sudbury and District Health Unit says people who use the surface water for their private drinking water supply may wish to consider an alternate, protected source of water. They add that residents should avoid using or drinking water from areas where blooms are visible. The highest concentrations of toxins are usually found in blooms and scum on the shoreline. It's these dense accumulations of scum that pose the greatest potential risks to people and pets, the health unit stated in a news release. Algae toxins can irritate a person's skin and, if ingested, cause diarrhea and vomiting. If a person ingests high levels of toxin, they could suffer liver and nervous system damage. Avoid using the water for drinking, bathing, or showering, and do not allow children, pets, or livestock to drink or swim in the bloom. Be aware that shallow drinking water intake pipes can pump in blue-green algae. Do not boil the water or treat it with a disinfectant, like bleach, because it breaks open the algae cells, which releases more toxins into the water. Do not rely on water jug filtration systems as they may not protect against the toxins. Follow the Ministry of the Environment and Climate Change Guide to Eating Ontario Fish. Exercise caution with respect to eating fish caught in water where blue-green algal blooms occur. Residents should not eat the liver, kidneys, and other organs of fish. Can infrared technology be used to track blue-green algae?